Tony Stark’s third adventure movie, Iron Man 3 is the highest grossing film in the franchise. 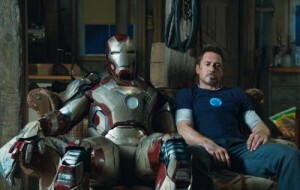 The battle is personal this time, with Stark (Robert Downey Jr., Due Date) and his iron suit forced to retaliate after his bodyguard (Jon Favreau, Couples Retreat) is attacked. The enemy proves ruthless and Stark must go back to the beginning to survive. Gwyneth Paltrow (Country Strong) and Don Cheadle (Flight) return as Pepper Pots and Lt. Col. James Rhodes, respectively. New to the cast are Guy Pearce (Prometheus), Rebecca Hall (Everything Must Go) and Ben Kingsley (Hugo). Iron Man 3 was directed by Shane Black, who last helmed 2005’s Kiss Kiss Bang Bang and is best know for writing Lethal Weapon. Black also co-wrote the science-fiction script with Drew Pearce. Rated PG-13, Iron Man 3 grossed a whopping $404 million in U.S. theaters and another $804.6 million overseas. 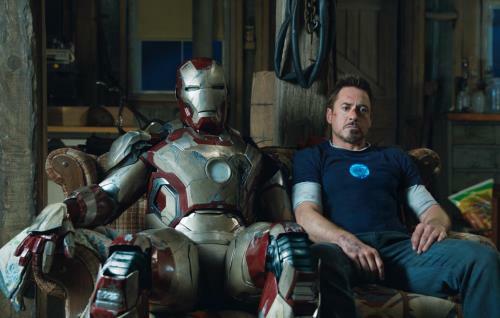 Although the original Iron Man is the best reviewed movie in the franchise, this third outing was liked by critics, scoring 78% approval, according to Rotten Tomatoes.